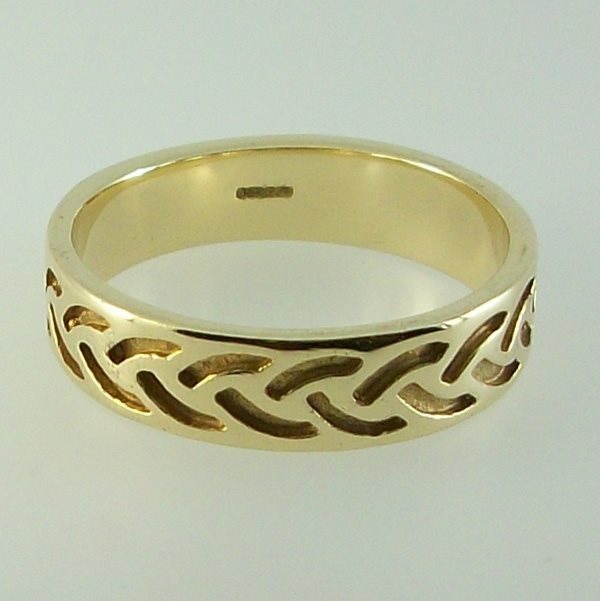 The Strath Ring is a modern celtic design 9ct gold. Designed by John M Hart. Hallmarked at the Edinburgh Assay office, supplied with a presentation box.